Metastatic disease is a lethal stage of cancer progression. It is characterized by the spread of aberrant cells from a primary tumor to distant tissues like the bone. Several treatments are used to deal with bone metastases formation, but they are palliative since the disease is considered incurable. Computational and mathematical models are used to understand the underlying mechanisms of how bone metastasis evolves. In this way, new therapies aiming to reduce or eliminate the metastatic burden in the bone tissue may be proposed. We present an optimal control approach to analyze some common treatments for bone metastasis. In particular, we focus on denosumab treatment, an anti-resorptive therapy, and radiotherapy treatment which has a cell killing action. We base our work in a variant of an existing model introduced by Komarova. 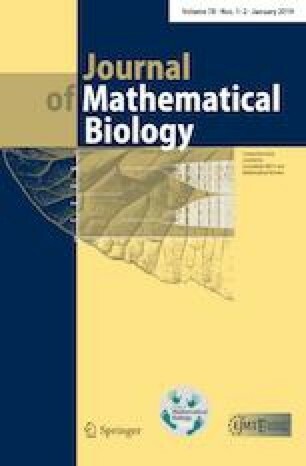 The new model incorporates a logistic equation in order to describe the bone metastasis evolution. We provide proofs of existence and uniqueness of solutions to the corresponding optimal control problems for each treatment. Moreover, we present some numerical simulations to analyze the effectiveness of both treatments when different interactions between cancer and bone cells occur. A discussion of the obtained results is provided. The authors are grateful to the anonymous reviewers, whose careful observations and helpful suggestions improved considerably the quality of this work. Moreover, AC thanks CONACyT for the Graduate Fellowship Grant 412803. Finally, this work was partially supported by Mexico CONACyT Project CB2016-286437. We follow (Fister et al. 1998) to show uniqueness of the optimal solution for the model (4) under certain conditions over the final time. First, we state some basic results. Now, we proceed to prove Theorem 3.